It looks like the weather on the east coast is having a declining impact on lumber and commodity pricing, especially panels, this week and the early indication is that things should remain stable for the near term. As I type this, an email from our commodity lumber supplier arrived indicating a mid-week price change with some up and some down further leading to us to believe the order files at the mill level are consistent from week to week for the moment. As the market stretches, relaxes, and stretches again, our stores are deeply committed to looking for opportunity and ways to help protect our customers. In December, our team committed to a large quantity of kiln dried cedar decking knowing that large price increase was not only likely, but very real. This week we took delivery of that decking and that will allow us to provide you with our best possible price AND the quality that we have become known for in our cedar line. Similar commitments were made at our buying shows in February to make sure we remained competitive in our hardware and soft goods lines. Our paint specialist at Angeles Millwork and Hartnagels worked with our supplier this week to finalize our spring buy in the exterior stain lines to ensure we can still offer the best price around for our Stain Sale beginning in late May. Over the next few weeks we will see changes in cedar, rebar, and timbers. Treated lumber will also be catching up to the framing lumber index in the days and weeks ahead as the manufacturers catch up with the replacement costs. These increases are on top of already announced increases in fasteners and paint that will hit the retail shelves in early April. If we had a crystal ball and could tell you exactly what would happen in the next few weeks and months, we would be happy to share! What we DO know is the weather will change on the east coast, California will start building again soon, and lumber pricing will follow the supply demand curve of the market. Our bet is that the demand will stay strong and the pricing will follow through the building season without any significant correction until this fall. 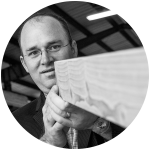 To stay informed about the opportunities and challenges in the commodity lumber markets and building materials, please follow this blog or “like” us on Facebook. To see our weekly commodity hot sheet please click here. We publish a new hot sheet every Monday unless the markets dictate otherwise. Account Holding Contractors! Get a FREE Web Page & Join us as a Referred Contractor.